Prometheus, Ridley Scott’s Alien prequel, wasn’t a particularly well-liked film but its 2012 box office performance was still strong and so Scott returns to the series which he started back in 1979 with a follow-up. Michael Fassbender returns from the previous film, part of the crew of a ship – the Covenant – which makes a rather unsettling discovery on an uncharted planet. Scott hasn’t lost any of his visual flair over the years, so we can be sure of a film that – if nothing else – looks spectacular. The director’s musical choices have always been somewhat eccentric but he has outdone himself over the last decade or so, with several baffling composer choices, but it seemed that with The Martian – for which he returned to Harry Gregson-Williams – he had finally seen sense. When Gregson-Williams was announced as the composer of this film, there was a collective sigh of relief that Marc Streitenfeld wouldn’t be back from Prometheus, but a few months before the film’s release Gregson-Williams revealed he was no longer involved – an official reason for his departure from the film has yet to be given – and his replacement was announced as Jed Kurzel, who had recently come off providing a frankly pretty terrible score for the Assassin’s Creed movie. While the response to that news was predictably muted, I’m pleased to say that Alien: Covenant is an infinitely more accomplished piece of work than the composer’s previous effort. It’s by no means an easy listen, but this is an Alien movie so one shouldn’t expect it to be – it’s a very effective piece of work that straddles two styles, summed up by the opening two cues. “Incubation” is pure sound design – synth textures, no melody, it’s unsettling, chilling; then “The Covenant” offers the first of a surprisingly large number of appearances of Jerry Goldsmith’s classic theme from the series’ first film. Scott himself has previously described Goldsmith’s score as the best that’s ever been written for one of his movies, and he’s absolutely right – it’s great to hear the theme given fresh life nearly four decades later. Kurzel’s writing for orchestra when he isn’t quoting Goldsmith is often striving for the same sort of impact – romantic strings placed in a starkly cold setting, with early highlights coming in cues like “Sails” – with some gorgeous, ethereal textures – and “Launcher Landing”. He also uses Goldsmith’s brilliant little echoing suspense motif from the first film – in “Wheat Field”, it’s very effectively creepy. Those opening eight cues are really first-rate but the scores goes off in a very different direction all of a sudden in “Spores”, with chillingly dark synths and abrasive orchestral touches moving firmly into horror territory. There’s no doubting its effectiveness, or even its musicality – this isn’t just noise, it’s done very carefully and cleverly – its problem is that it’s so successful at being unsettling, it’s downright unpleasant. At times there’s something quite compelling about it – “Payload Deployment” is a very interesting piece of electronica – but it’s a great relief when the Goldsmith strings return to open the driving suspense of “Command Override”. What might be termed this score’s main theme is a simple, twinkly motif heard for example at the beginning of “Face Hugger” – it’s a clever little device that is somehow quite calming at the same time as evoking mystery and perhaps some danger. That danger arrives in no uncertain terms with an explosion of strings (both real and processed) midway through the cue, which leads into one of the most sustained periods of action. This contrasts starkly with the surprisingly beautiful “Chest Burster”, a romantic piano theme emerging from a bed of shimmering strings. “Cargo Lift” is an exciting, energetic piece of action/horror, synths and orchestra coming together very well. It’s very much a piece of modern film music, but the fact it doesn’t hold anything back means it stands apart from the crowd. After this, there’s a return to the deeply unsettling synth textures for a few minutes, combining with a hint of Elliot Goldenthal towards the end of “Terraforming Bay”, before the album ends with what is called “Alien Covenant Theme” and does include that little motif but it’s pretty much a standalone cue which seems to be a poor relation of the Goldsmith theme. As I mentioned, this is a very effective piece of work, and very much sounds at home in this franchise’s collection of music. That lengthy middle portion which is very difficult listening means the album might not be returned to as frequently as several of the ones that have gone before, but credit is due to Jed Kurzel for executing a fine musical vision in this way. It is true that the ground he covers is reasonably well-trodden, but he treads it with some conviction. I’m sure I won’t be alone in having my expectations well and truly surpassed. It appears that thirty eight years since the premiere of ‘Alien’ [25th May, 1979] Ridley Scott has done a complete turnaround by regarding GOLDSMITH’S score as “the best that’s ever been written for one of (my) movies.” Scott and his film editor Terry Rawlings (he ‘temped’ the working cuts) messed around with JERRY’S brilliant music, replacing various cues with themes from ‘Freud’ [also scored by GOLDSMITH] and excerpts from HOWARD HANSON’S ‘Symphony No 2. To quote GOLDSMITH “working on ‘Alien’ was one of the most miserable experiences I’ve ever had in this profession!” And Scott regarded his working relationship with JERRY as “stormy”. ‘Alien’ was Scott’s second movie, and “he wasn’t articulate, then, about what the music should do” recalled a scathing GOLDSMITH.// James, has JED KURZEL described his working relationship with Scott?…and have GOLDSMITH’s original ‘Alien’ tracks been reworked by KURZEL for this movie, or just edited into the ‘Covenant’ score? After reading your review James, and being assured it’s better than that awful ‘Assassin’s Creed’ I’m looking forward to hearing KURZEL’S new opus, including the atonalities (twelve tonal music projects my mind into really amazing realms). What?? It has a 72% on Rotten Tomatoes and was MARKEDLY well liked compared to the most recent Alien installments before it. Well, it’s not too hard to be more liked than Alien: Resurrection or the AvP movies. And The Amazing Spider-Man 2 has a not-awful-sounding 52% on Rotten Tomatoes which hasn’t stopped it from becoming known as one of the biggest superhero movie disasters in recent memory. So RT doesn’t always tell the whole story. It’s noise. Noisy noise to be more accurate. The only thing interesting in this score is Jerry’s themes. Pretty spot on. I’m not sure how you feel about it, but the main thing that annoyed me about this score is that it seems each track builds towards something and stops. There’s hardly any resolve to any of the tracks except the Main Theme, and I think that’s more thanks to Jerry Goldsmith. The Goldsmith angle is also something that might have pushed Harry Gregson-Williams off the project. There is a surprising amount of Goldsmith on this album. Daniel–has GOLDSMITH`S `Alien` been restructured and re- orchestrated by KURZEL [?] for inclusion in this score, or have the ORIGINAL tracks been edited in? @ Andre: the main theme and one or two motifs were included in his noisy score. Which make the whole experience more painful. This Jed Kurzel shouldn’t be allowed to score any movie in the future. Between “The Covenant” and “Planet 4 (Main Theme),” you could almost rebuild Jerry’s rejected main theme from Alien. None of the original tracks were edited into the movie. Thanks for the info Tarek and Daniel. 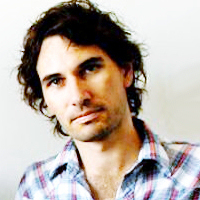 I urge KURZEL to rejoin his Australian Band `The Mess Hall`and channel his musical talents into performing with them. I loathed what he did to `Assassin`s Creed` and, like so many other film music devotees, was appalled that Ridley Scott had contracted him for `Alien`. I’m in the minority, but I liked this score. It was very effective in the film. I don’t know how often I’ll put on the album to listen, but It worked well while I was watching. As for the Goldsmith themes, I’m just happy to hear them again. I was hoping HGW would score this (I thought he was supposed to), because I like what he did with Kingdom of Heaven and The Martian. I thought it was good as well. The other issue is I’m not sure anyone could have done better with the way Ridley Scott spotted the film. There were very few moments where there was music over any action. By the time the action got started, the music is gone. It was the same with Deadpool except all of the big moments to build a score around were all needle drops. That could also be why HGW left the project. Goldsmith rehash and no big music moments. Enjoyed watching this movie. As the film commences, credits start rolling, underscored with GOLDSMITH`S `Alien` theme, embellished with globules of dissonances. It`s the 1979 `Alien` theme that JERRY had to alter as Ridley Scott deemed it unsuitable. And while it`s playing, the music credit appears with KURZEL`S name as composer. Other GOLDSMITH cues (from his Alien score) are used throughout the movie…BUT when the End Credits are flashed on to screen, only JERRY`S “MAIN THEME FROM ALIEN” is acknowledged [along with music by other composers]. How much music did KURZEL actually compose for the movie??? “Globules of dissonance”…what a wonderful turn of phrase. I must remember that one.